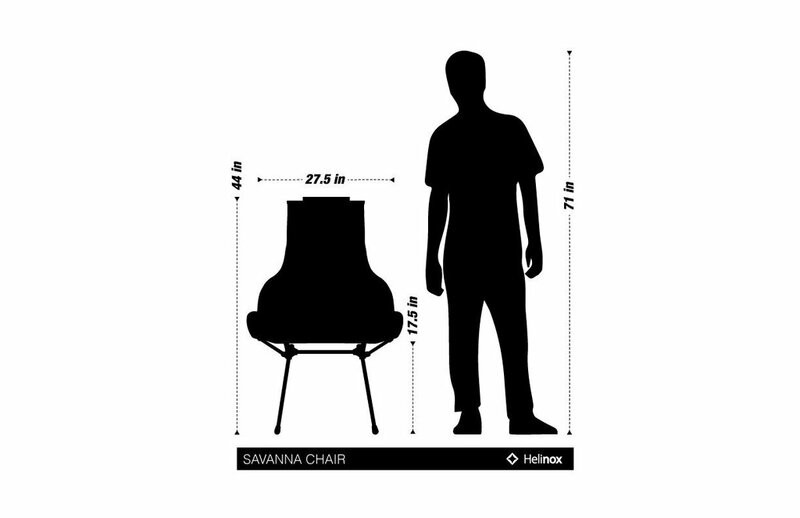 When you want all the bells and whistles, choose SAVANNA CHAIR. Higher and wider in profile, it gives you plenty of room to R&R. And the built-in cup holder makes sure you never go thirsty. Saddle up to a TABLE ONE and your outdoor living room is complete. It features a light (4.3 lbs), compact design (6”x 6.5"x 21.5" in its case) and is made to last (holds up to 320 lbs). Helinox has built its reputation by engineering products that exceed consumer expectations for quality and durability. Their 5-Year warranty covers manufacturing defects* in materials and workmanship for 5 years from the original owner’s date of purchase. Helinox will repair or replace, at its discretion, any manufacturing defect in these products free of charge. The Helinox warranty does not cover damage caused by normal wear and tear**, accidents (fire/lost/stolen), combat damage, improper care or cleaning, non-standard usage or negligence. Product must be purchased from an authorized Helinox dealer and should be returned to us for evaluation. Visit https://helinox.com/pages/warranty to file your warranty claim. We are a registered dealer and you will include our business site www.redverz.com or name, Redverz Gear within the form. * MANUFACTURING DEFECTS A manufacturing defect exists if the product departs from its intended design and specification during manufacturing. Defective materials (zippers, buckles, fabrics, etc.) or workmanship (seams, construction, etc.) are covered by Helinox warranty for 5 years from the original owner’s date of purchase. ** WEAR AND TEAR Wear and tear is damage that naturally and inevitably occurs as a result of normal use. Moving parts will wear out and fabrics will deteriorate and fade over time. And while we choose the best materials available for the application, all materials degrade over time with use and exposure to the elements Call us at 720-213-8287 or email us at adventure@redverz.com if you have any problems or need us to walk through your claim or issue.